Corinne Vonaesch was born in 1970 in Geneva, Switzerland, where she still lives today. She majored in visual arts in high-school and that is where she first discovered and investigated artistic expression. She chose to pursue a BA in psychology as she was very interested in human science, while she also continued to develop her artistic skills in a self-taught manner. She gradually developed a unique pictorial style full of colours and contrasts. In 1992 she got married to Philippe. They have two girls who are now of 13 and 15 years old. She is working part time as a school teacher and uses the rest of her time for her painting. She loves this space of expression and meditation free from financial concern. 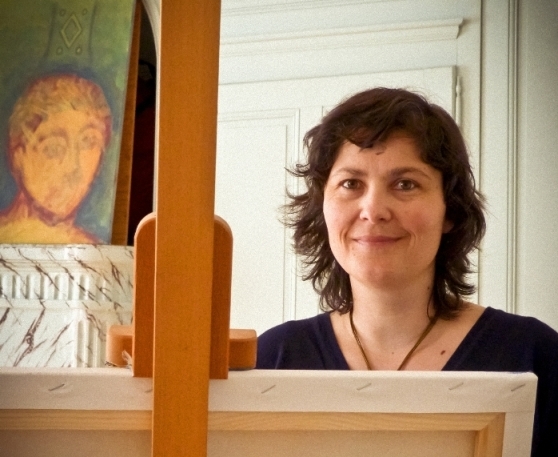 Since 2001 she has exhibited her artworks in various expositions around the world. She is represented by the White Stone Gallery in Philadelphia. 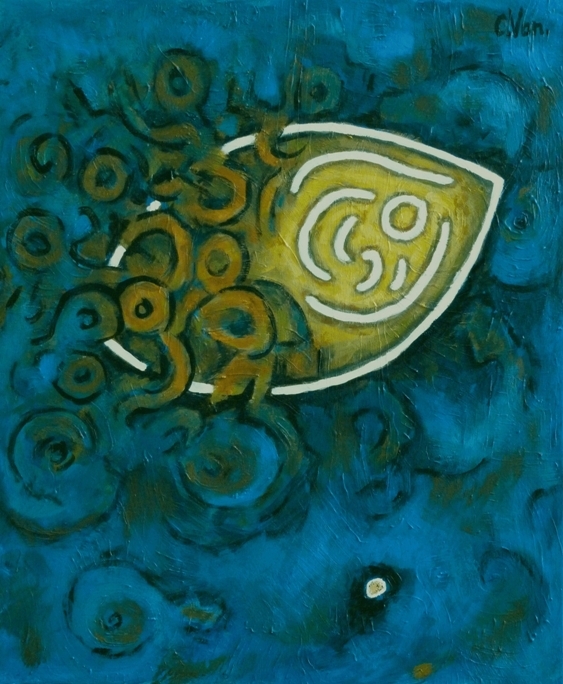 Her series ‘John's Gospel in 21 paintings’ was exhibited at Philadelphia Biblical University throughout the year 2011. 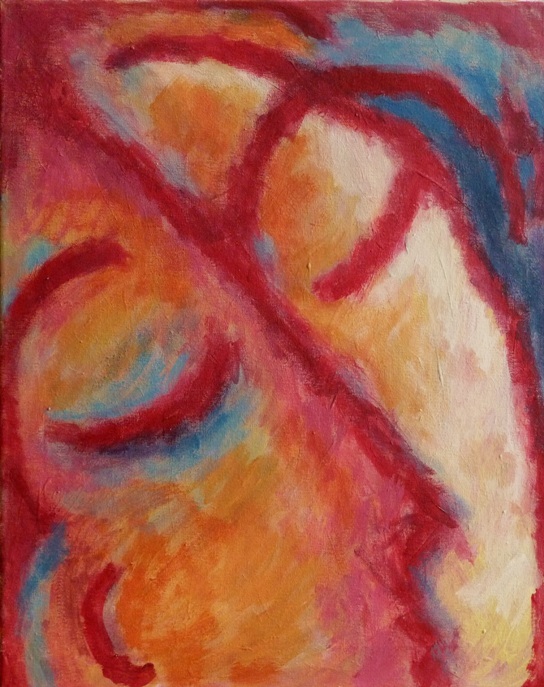 Visage / Face, 40 x 30 cm, acrylic on canvas. I like the simplicity of painting, without adding any materials or collages. This simplicity of means (canvas, brushes, paint) forces me to focus and helps me capture the essentials. I also like to paint series, sets of paintings related to a theme or text viewed as a whole. I like the idea that my paintings are not a reflection of myself but an eye-opener to a reality that is bigger than me. Series have that capacity. 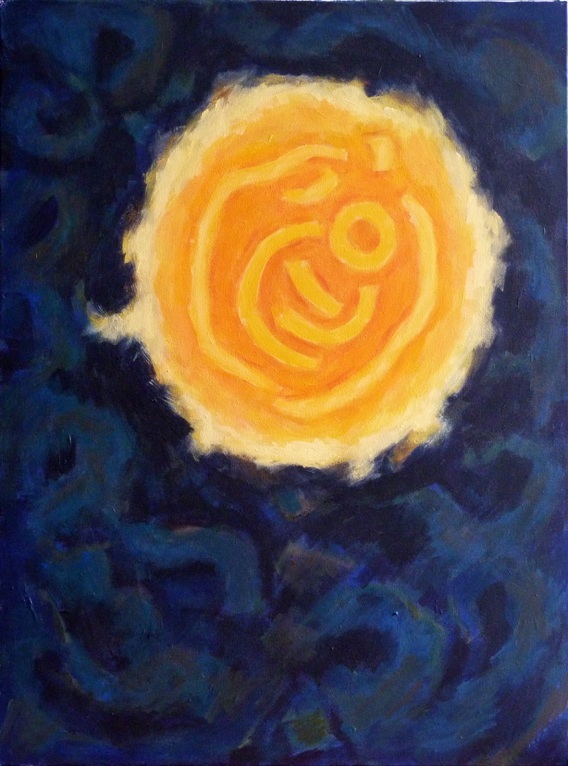 Parole de lumière / Word of Light, based on John 1, 80 x 60 cm, acrylic on canvas. My activity as an artist-painter is a spiritual pursuit as much as an artistic one: to paint is a meditative act to me that translates itself into images. The paintings that flow forth from this, mainly inspired by biblical texts, are part of my personal spiritual journey. Faith is a big part of my art; I like the beautiful connexion that exists between art and faith. The Bible has been an important source of inspiration all through my artistic journey and two of my series illustrate famous biblical texts: ‘The colors of the Gospel - John's Gospel in 21 paintings’ and ‘The seven days of Creation’ based on Genesis. I am just finishing a second and new version of the Creation series. For me this spiritual dimension feeds the exploration of a contemporary Christian iconography. La tempête apaisée / The storm appeased, 65 x 54 cm, acrylic on canvas.